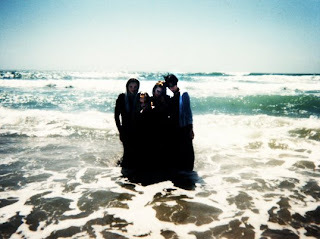 A Goth's favourite pursuit; subverting the traditional image of the happy family by adding suffering, in this instance forcing a family of DidiGoths to pose in the surf. Unfortunately the waves have washed away their lovingly created Sandcastle of Mordor. great headline! very funny blog. Love it! Your site rocks.